The Flash's Cisco Ramon has some things to say in his therapy journal, mandated by Dr. Finkel. Are you ready for his take? Lena Dunham's greatest weapon has claimed another victim: the Arrowverse. Or how Arrow, Supergirl and The Flash's feminism fails to be intersectional. 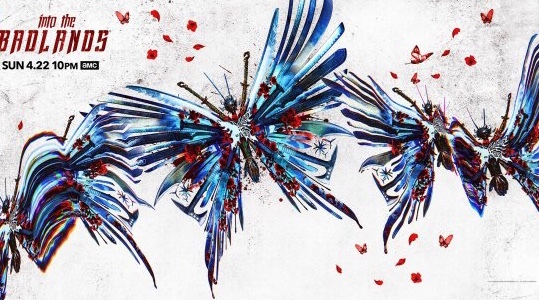 Into the Badlands season 3 premieres tonight, with "Enter the Phoenix" on AMC at 10/9 c. New alliances, new characters, and more elaborate costumes and fights: in advance of the premiere we share 5 things to look forward to this season. Before Supergirl comes back into our lives tonight, we have a few thoughts on how to make our favorite Kryptonian fly a little higher. We discuss why The Flash has been done dirty by the Dibster. Three Wishes For ‘Shadowhunters’ Season 3! A new 'Shadowhunters' season is almost upon us, and here's a list of what we're most looking forward to seeing in the third season premiere.